Last year’s Holiday Tomme event was so successful, this year we’re asking all the Guild members to make a Tomme based on the SAME RECIPE, and then to bring them to the Maine Cheese Guild Christmas party (December 13th at Hahn’s End) to sample them, and the best of them made by licensed cheese makers will be auctioned off as a fundraiser for the Guild. The differences will be found in the milks (we had cows, goats, sheep, and mixed milks last year), in the hand of the cheesemaker (cutting, stirring, and draining the curd), and in the aging environments (last year many cheeses were aged in large sealable plastic tubs). The make date is coming up: Labor Day Weekend. On or around the weekend of September 4th, make a 4 lb. (give or take) Tomme using the recipe below using whatever milk you have available. Age them as you would normally age a cheese like this (or discover the joy of aging cheeses by experimenting with this cheese. 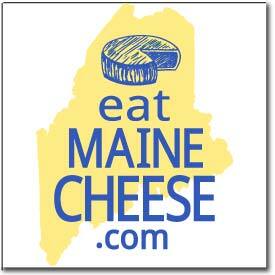 On December 13th bring them to Phippsburg to sample, and then sell. Posted in Guild and tagged christmas party, recipes.